It was a very hot and muggy August day in Houston Texas when we visited the Johnson Space Centre during a family holiday. While we were there, my Grandmother and I decided to go on a tour to see the actual NASA mission control room. It seemed only right because I felt like I spent most of my childhood watching mission control during the televised Apollo missions. 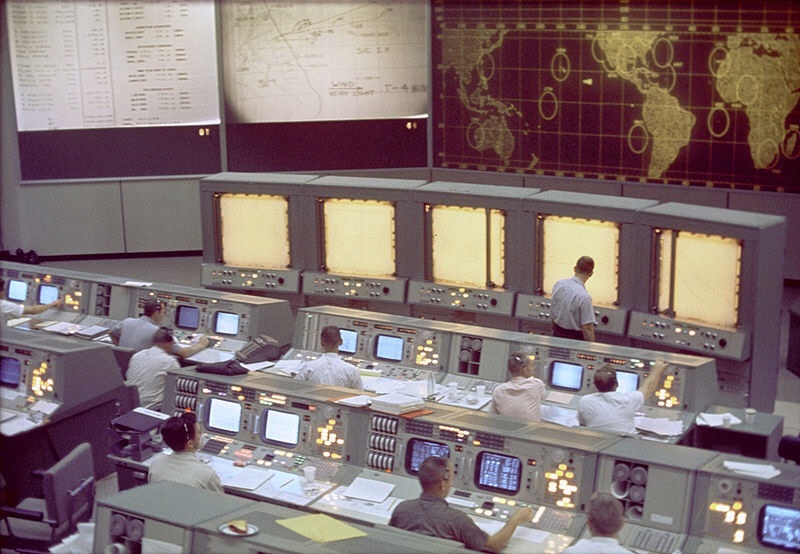 What I looked forward to the most now was seeing mission control with my own eyes and not through a television screen. During the tour, we were taken into the press room, where reporters were allowed to sit behind glass and observe mission control as historic events unravelled in real time. What surprised me most was that mission control is in reality, much smaller than it appears on television. Mission control itself was now very empty and as devoid of life as the lunar surface. After the historic Apollo moon landing in 1969, mission control, as we know it, became a historical landmark building. This designation prevents any kinds of permanent alterations. It is to forevermore remain as it was the day that Neil Armstrong and Buzz Aldrin landed on the moon. Everything in that room looks exactly the way it did in July 1969. Every coffee cup, ashtray, and original computer casings are all still there. Not being able to change anything posed a very big problem for NASA because the big ancient looking computer boxes which you may remember seeing on television went obsolete forty years ago. They cannot be swapped out. What NASA had to do was constantly install new circuitry inside the archaic green metal boxes to make the computers more practical for those who use them now. When there is a space mission, only portable televisions and computer screens can be installed so that those scientists who are running the show can watch the missions. While standing in the press room, I placed both my hands on the glass that separated me from mission control. I was so close to actually being there, and was yet still so far away. …where planet Earth was blue and there was nothing he could do.